Recently, electricity Discos asked President Muhammadu Buhari to sit up and comprehensively address the challenges in the country’s power sector without recourse to politics. They indicated that the sector was in deep trouble with more than N1.4 trillion revenue shortfall. To drive home their point, the Discos declared they would only guarantee stable electricity supply to Nigerians, if the government would meet certain conditions including, that the government will allow for cost-reflective tariff in the sector; provide financial subsidies for people who may not be able to pay the right economical tariff in the case of a review; and create regulatory assets scheme for them to leverage in sourcing for finance to expand their operations and augment tariff shortfall. In the event that the government is cautious of a public backlash over tariff review, the Discos explained that a regulatory asset framework would enable them source finance from banks to fund their operations, while subsidies over consumption for certain classes of consumers would cushion the impacts of a low or non-economical tariff on their operations. Claiming that the Nigerian Electricity Regulatory Commission (NERC) has failed to review their tariff since 2016, the Discos through their umbrella body, the Association of Nigerian Electricity Distributors (ANED) explained that this has substantially affected their obligations to Nigeria’s power consumers. They in this regard indicated that Buhari needs to adopt a honest and proactive approach in any planned intervention in the sector. Besides the issue of tariff review, the Discos have also complained that they do not get a lot of support from the government to undertake their jobs. They often claim the government acts as if they are the reasons why stable electricity has remained elusive to Nigerians. For instance, while the government claims the Discos do not want to fulfill their metering obligations to consumers and has even initiated a third-party scheme to provide meter to consumers, Oduntan, at the recent meeting stated that the Discos had fulfilled their metering obligations in the performance agreements signed with the government during the 2013 privatisation by 88 per cent. He admitted they had lapses in this regards, but added that the annual capital expenditure approved for them by the NERC has constrained their capacity to deliver more meters to consumers, in that, they are often not allowed to spend more than they have been approved to do and recover through the tariff as calculated in the Multi Year Tariff Order (MYTO) framework. “The failures of the legacy years caught up with us when we came on board and in trying to roll out meters, we need to do a lot more. We have done quite a lot in our performance agreements. “There are a number of meters that we were required to provide within five years, and within the five-year period, we did 88 per cent of what we were required to do. But you need to understand that what we were required to do was far low compared to the nation’s metering requirement,” said Oduntan. Apart from the shortage of meters, which has created some distrust between the Discos and consumers, the government and Discos have also continued to disagree over generated volumes of electricity the Discos allegedly do not want to take from the Gencos. On one hand, the government claims there is an excess generation volume of 2000MW that the Gencos can produce but the Discos do not want to take up because they lack the capacities to distribute them, on the other hand, the Discos disclaim the development, stating that they are largely not the sector’s limitation to stability. Similarly, the Transmission Company of Nigeria (TCN) has overtime claimed that the Discos have not invested enough to expand and stabilise their networks, adding that this alleged poor distribution networks and capacities often affect its transmission systems. 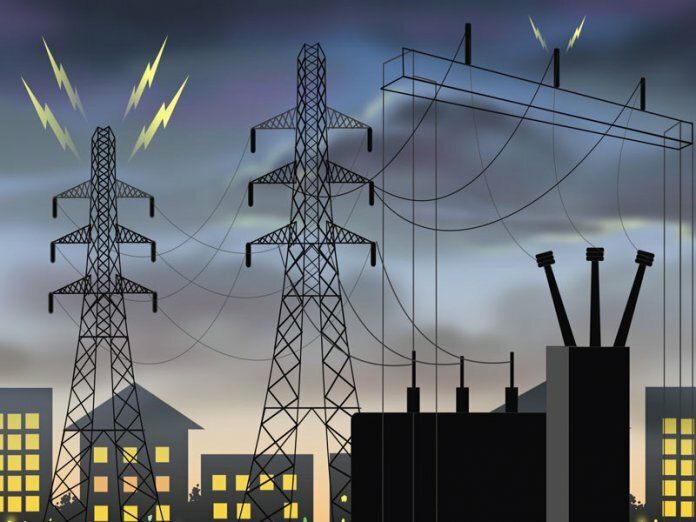 The TCN even stated that the Discos habitually reject electricity from it, and that this results to Gencos shutting down their plants and producing less power to amongst other things, safeguarding the national grid from system collapses and destruction of transmission equipment. Going by the frequent quarrel between the Discos, government and the TCN, THISDAY spoke to experts especially a former chair of the NERC, Dr. Sam Amadi, to deduce what may have happened and perhaps why progress has been relatively little in the sector, and he told the THISDAY that it was a self-inflicted development. Amadi, who was head of the regulatory body during the 2013 privatisation and few years into the early stages of the exercise, explained that government and Discos were guilty of the failings of the electricity market. He stated that he expected that at some points the government will fall out with the investors because they would not have been able to carry out the promises they made to upgrade the capacity of the sector. This, he added, was aided by the ambitious assumptions in the privatisation exercise, which the Discos had found very difficult to achieve. 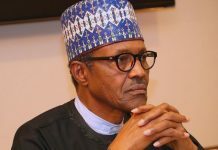 Amadi also noted that there was the risk that politics will overcome real positive thinking in the sector, and that the government especially that of President Buhari, would in its desire for short-term political gains, will crowd out strategic objectives that should have been pursued in the sector. Amadi also believed the sector was rudderless with the regulator failing on its duties. He opined that the government was rather fixated on shouting bouts with the Discos as against adopting smart regulatory approaches to solving the challenges of the market. “What we have not done in this sector apart from shouting down on Discos and others is that we have not used strategic regulatory tools to put upon them bearable, but significant burden and after now, it is the right time to review their agreements like their franchise areas which are too large and of course. The Act talked about unbundling retail and distribution so that customers can have choices on level of service supplies. “There are many things that can happen in this sector – we need an active regulatory process that will work with public spirited policy framework because we have had so much of self-interests masquerading as public interest – too much political projects here and there that cannot expand the network or create capacities. They are at best sound bites for political noise,” he added. According to him, the future of the sector looks bleak on the back of what he listed to include the lack of technical improvements; flash-in-the-pan capacity growth; poor financial status; and the regulator allegedly dropping the ball on its credibility and market acceptability. “So, evidence based, we have moved backwards and it is fair to say we have not made progress within the last four years. In a chart of one to 10, we probably have recorded just two points, which is very poor because growth in four years after privatisation should be greater than growth in 10 years before privatisation when we did a lot of work and should be seeing rapid growth,” explained Amadi.